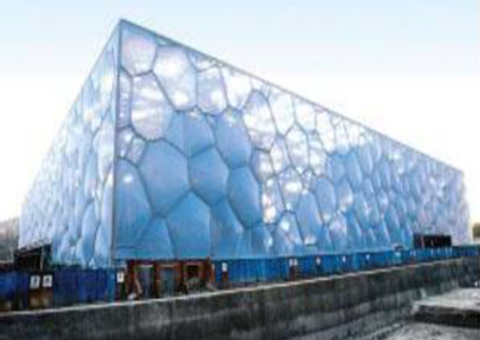 The contour of the Water Cube is a large cube with side length of 176 metres by 176 meters and stands 31 metres high. 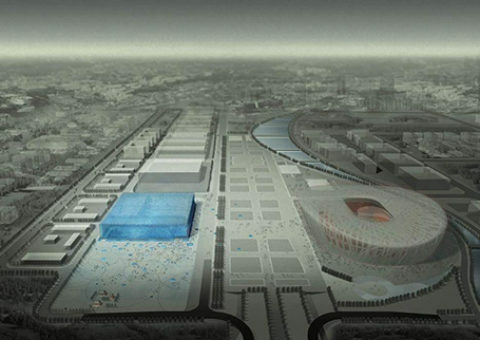 The total building area is approximately 80,000 square metres. 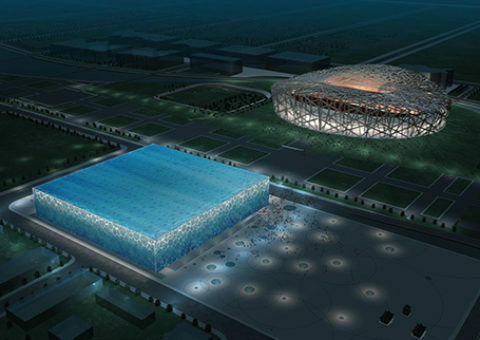 The periphery of the cube is steel structure stands accommodating 17,000 seats for spectators (6,000 permanent seats and 11,000 temporary seats to accommodate the Games). In the middle is the swimming pool, there is a plunge pool and playing pool. 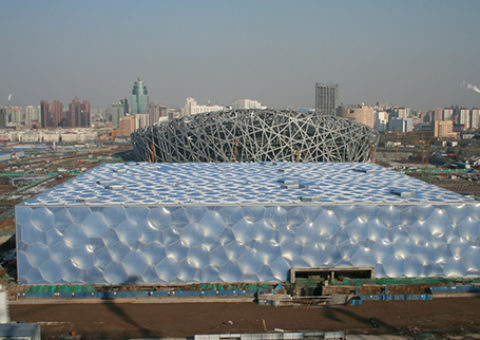 There are more than 3,000 blue ETFE air charging pneumatic die cushions with a total area 120,000 square metres. 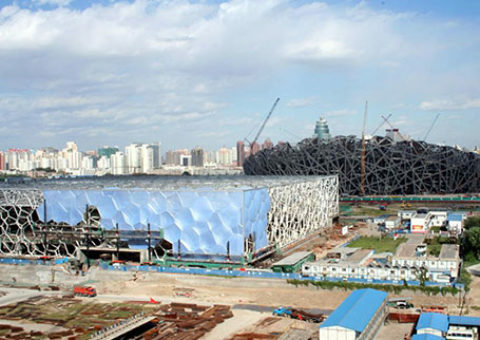 The total waterproof area of the Water Cube is 60,000 square metres, with an unprecedented high standard waterproofing requirement. The waterproof grade meets the first grade requirements of setting up the defense for waterproof/anticorrosion of the pile heads. 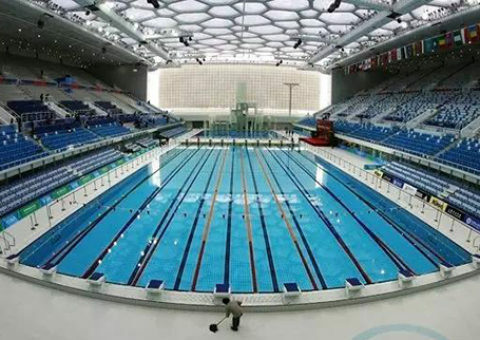 The waterproof/anti-corrosion stringent-specific standards for the Olympic Games Swimming Complex project reached the advanced international level and beyond. For the key position pile-heads, their waterproof and anti-corrosion adopt the Cementitious Capillary Crystalline Waterproof (“CCCW”) material with Eka-molecular sieve construction. 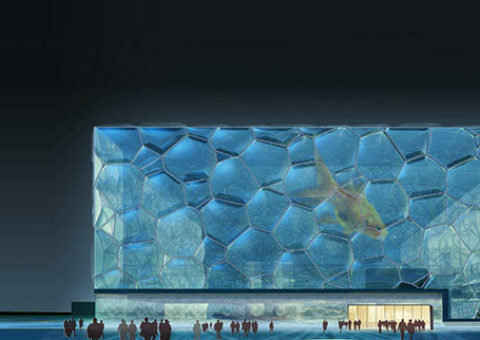 The Water Cube project has 2 floors of underground construction. The foundation back plane is supported on 4,371 piles with a diameter of 400 mm. A project with so many underground piles has only been seen in a very few engineering projects, up to now. 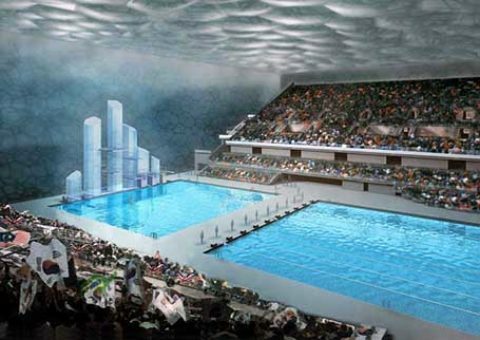 The waterproofing project was the fundamental guarantee of the quality of the entire constructionengineering project. 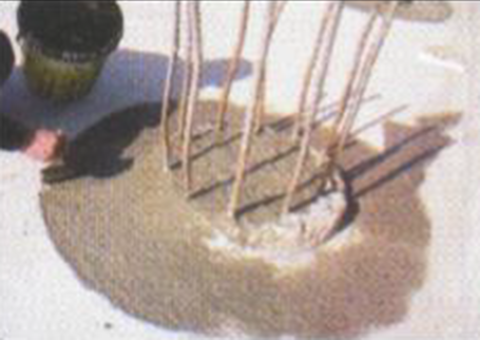 The waterproofing/anti-corrosion of the piles, become a vital components to the waterproof/ anti-corrosion construction. Setting up the defense of waterproofing of the pile heads, CN2000®B has met the advanced international level of Cementitious Capillary Crystalline Waterproof (CCCW). The test conducted, provided relative data which indicated that CN2000® was the material of choice for the project engineers. 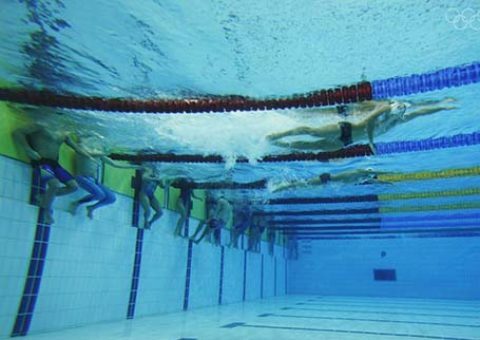 In addition, installation of the slow-swelling type rubber strips (which expand when in contact with water), were installed on the reinforced steel strands, steel bars and sealing grooves. 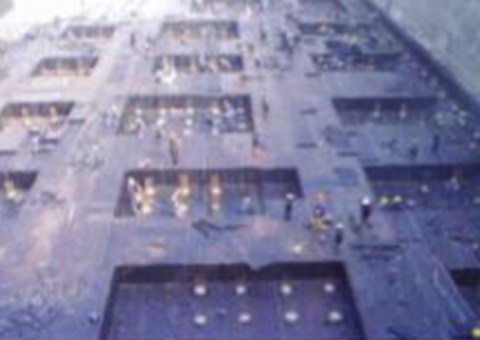 To pre-coat with CN2000® cementitious capillary crystalline waterproof material, the pile heads were cleared thoroughly, chiseled to the matt surface and cleaned with a high pressure washer to saturate the substrate surface. 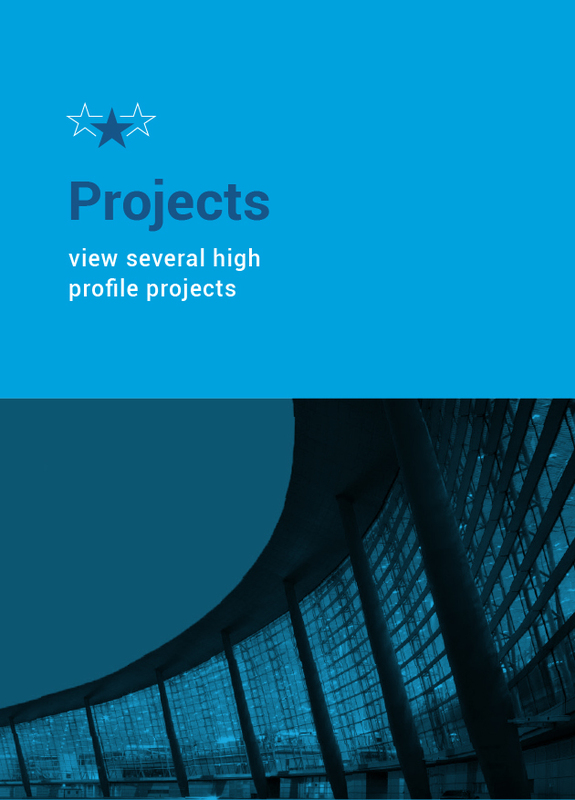 Twenty-six different types of waterproofing/ anti-corrosion materials were specifically tested to meet international levels of the environmental guidelines, must be non-toxic, must have good corrosion-resistance, durability and permeability, for this landmark project of the pile heads and CN2000® was unanimously declared the superior product.